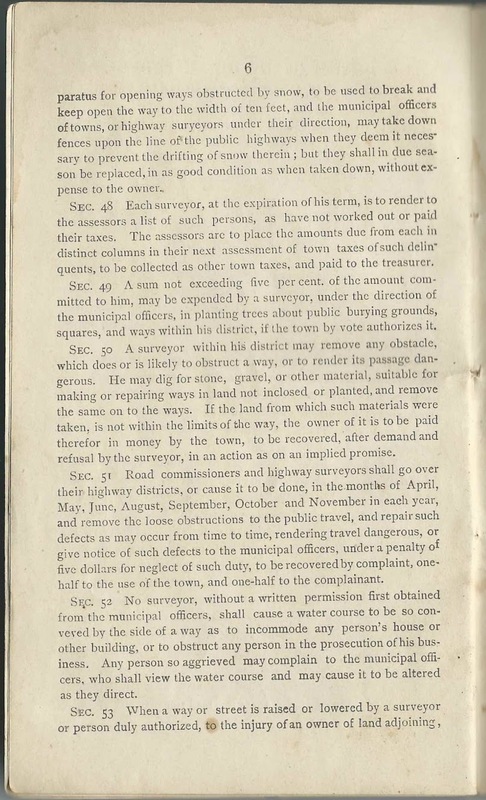 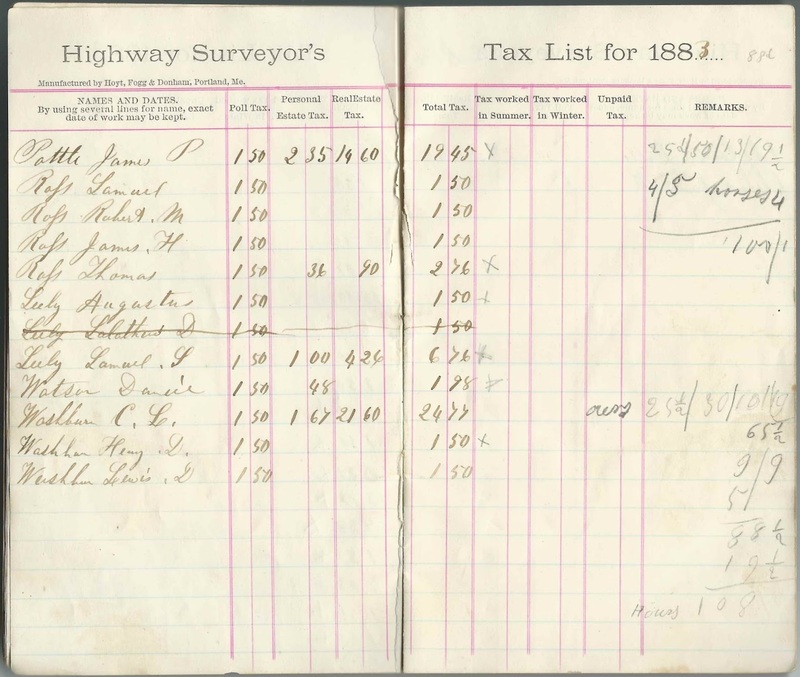 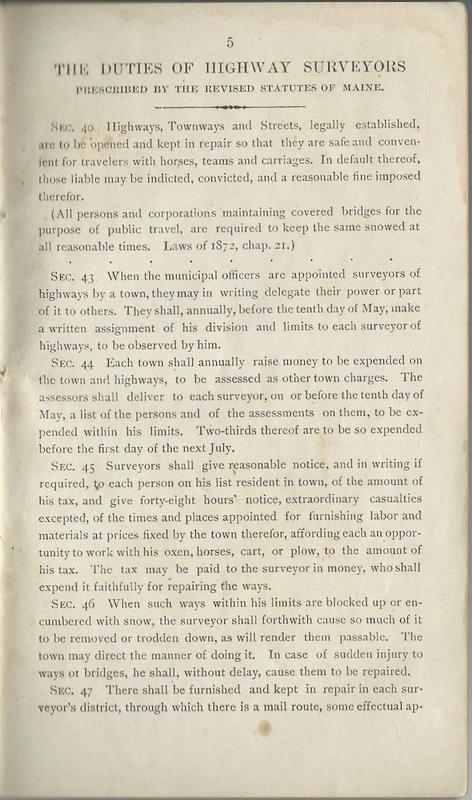 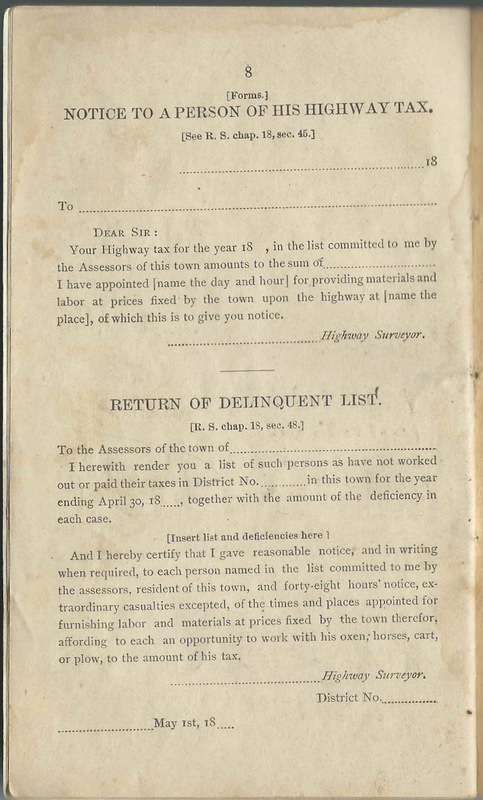 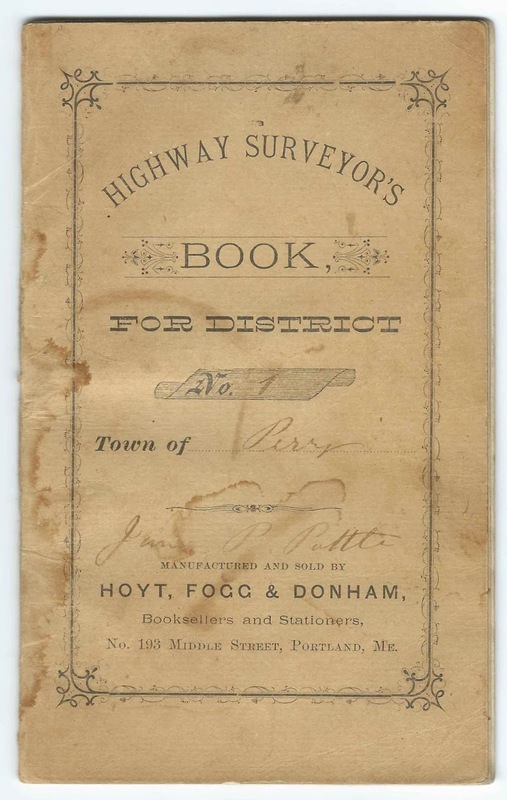 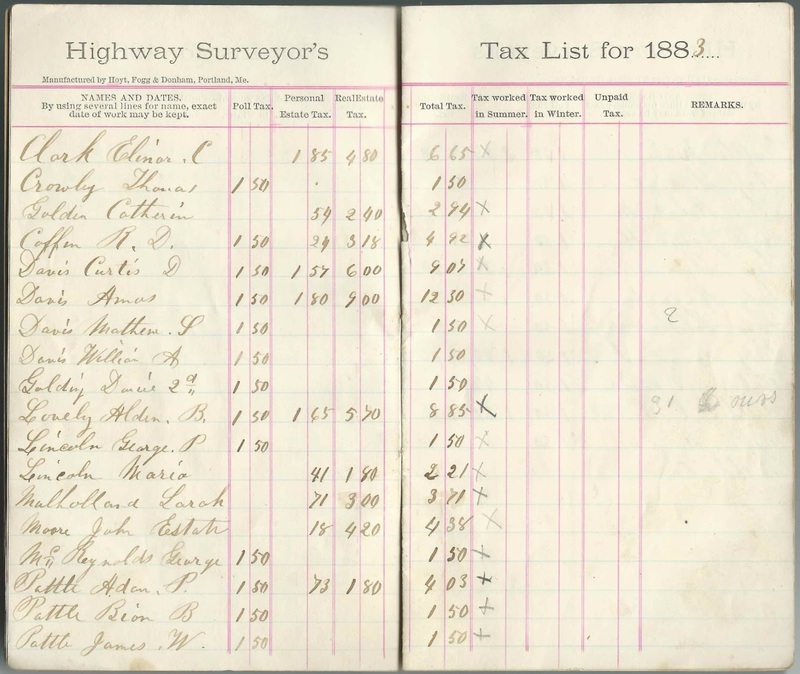 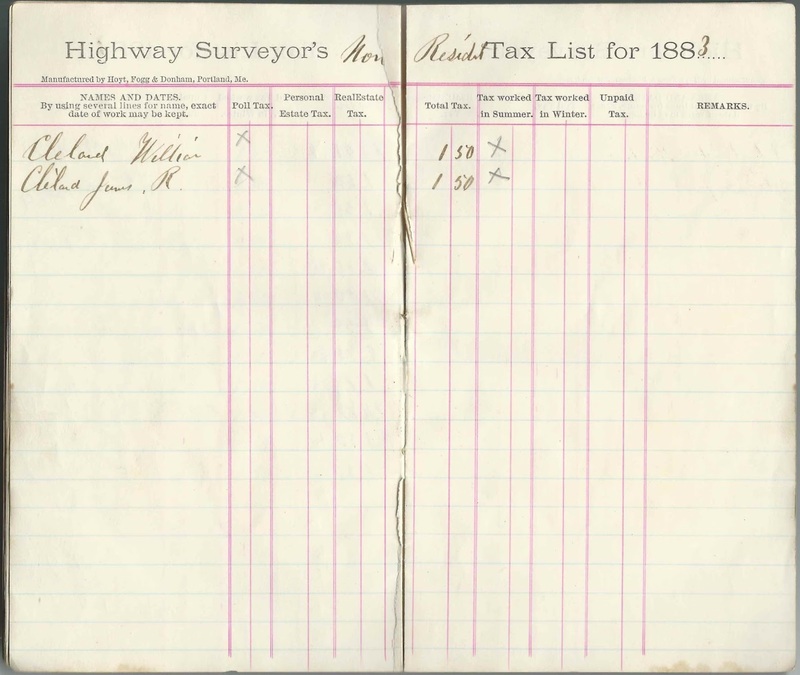 1883 Highway Surveyor's Book of James P. Pottle of Perry, Maine, "One of the Surveyors of Highways in the town of Perry, District No. 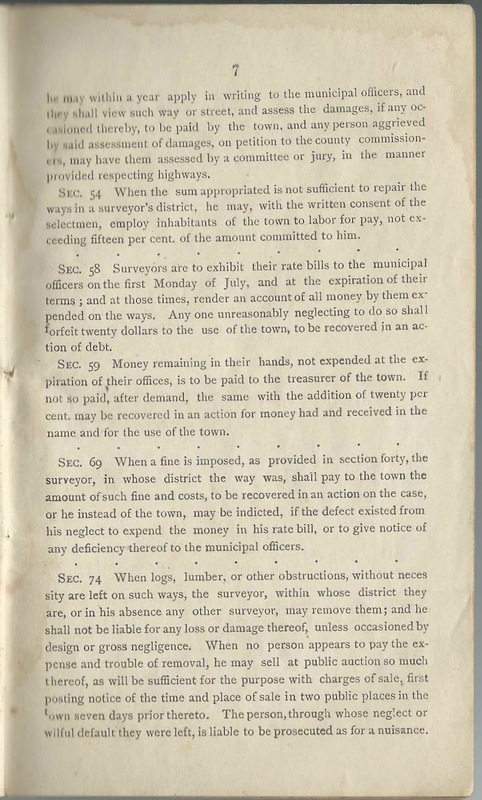 1.". 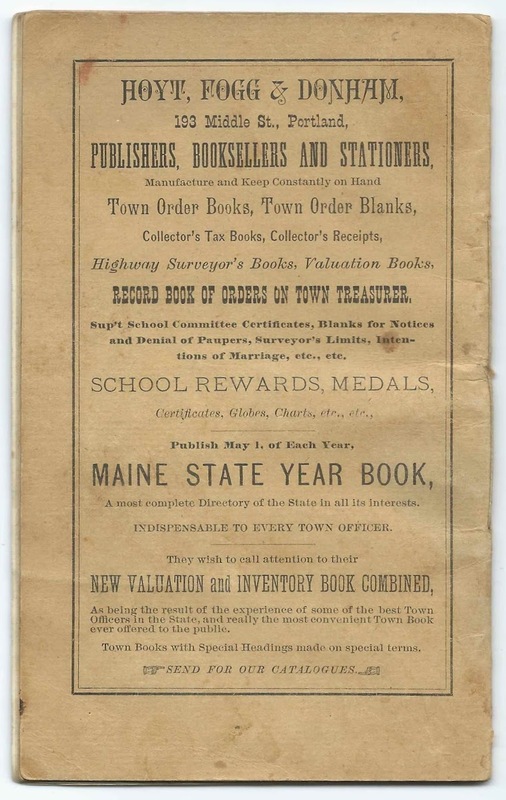 The book, approximately 6-3/4" x 4-1/4" and with 20 pages, was printed in 1880 by Hoyt, Fogg & Donham of Portland, Maine. 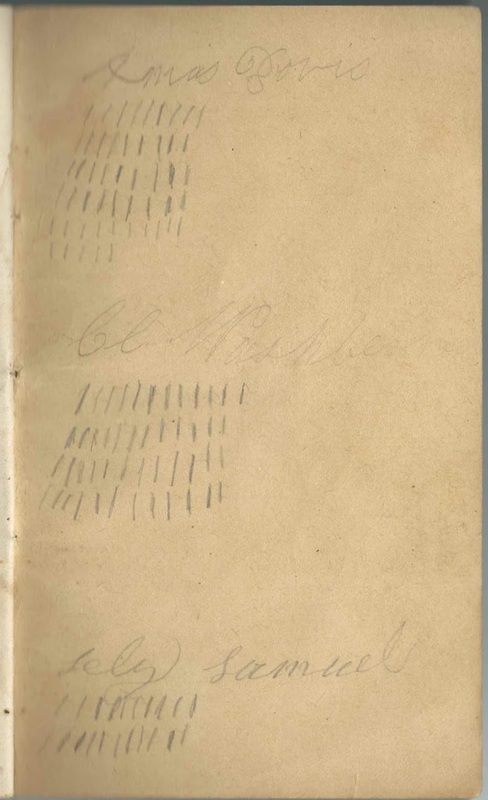 An alphabetical list of people mentioned in the book appears at the end of this post. 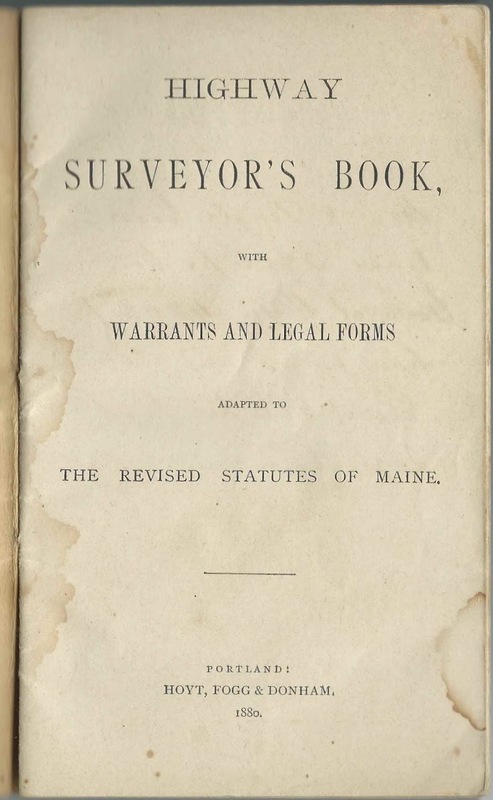 The Selectmen in 1883 were Jethro B. Watt; Mark Leighton, Jr., and James William Pottle. 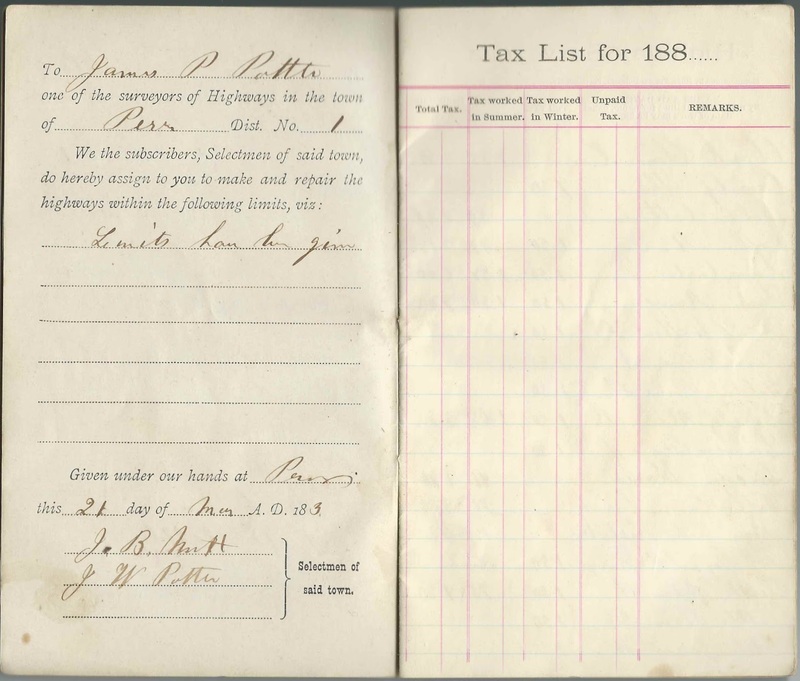 James William Pottle was presumably one of James P. Pottle's sons. 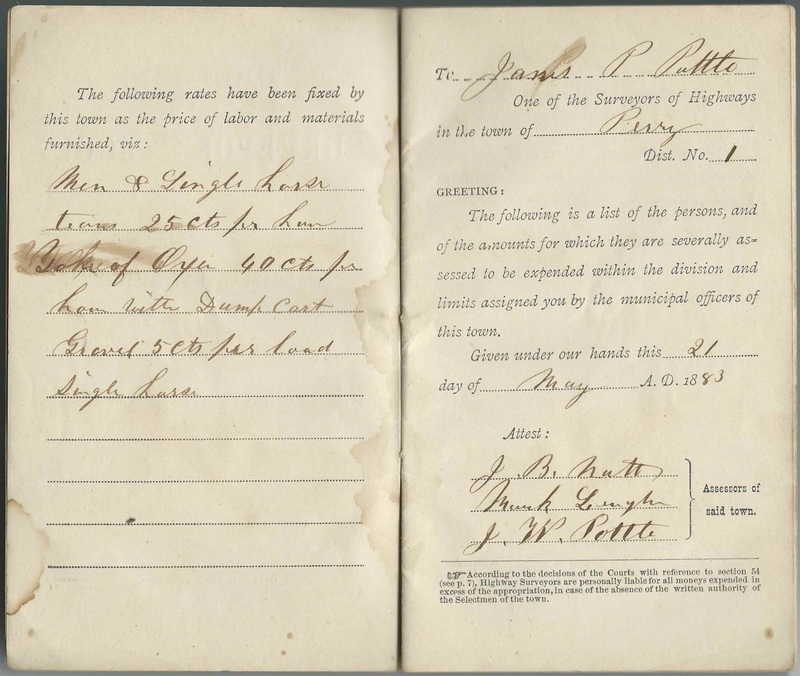 Catherine Golden - Goulding or Golding ?